There’s nothing more magical than the Happiest Place on Earth during the holidays. But visiting Disneyland at Christmas can be an overwhelming experience with so much to see, do and eat – and with so many people. 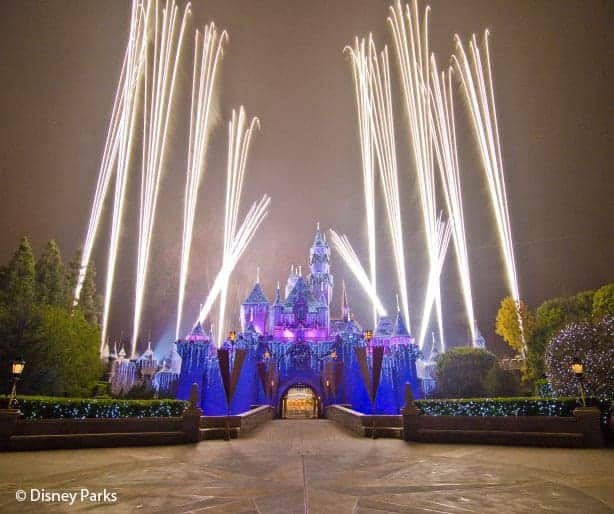 Here are the things you need to know when planning your trip to Disneyland during the Christmas season. Decorations: All of the Disneyland Resort is decked out in holiday decorations including Disneyland, Disney California Adventure, and Downtown Disney. There are themed decorations for each land, and the detail is amazing. Parade: Disneyland’s holiday parade is musical entertainment for all ages. 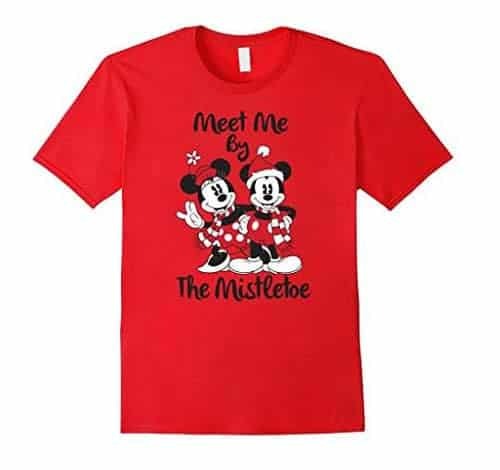 All your favorite characters will make an appearance, including Mickey and Friends, Disney Princesses, Pooh and Friends, and Santa himself, as well as holiday characters such as reindeer and gingerbread men. Here are some tips on where to take photos of Winnie the Pooh! Christmas Parade Viewing Tips: Across from The Matterhorn next to the Alice and Wonderland bathrooms is a great spot to watch the Christmas Fantasy parade. There’s a long bench along the castle wall, and that side of the road gets early shade, but it’s not too crowded. Another good parade viewing spot is along the It’s A Small World mall. If you go to the first parade viewing, you can stay in your spot to watch the It’s A Small World lights turn on shortly after the parade. Disneyland Packing TIP: Remember to pack a blanket to save seats and sit on. Fireworks Show: The “Believe…In Holiday Magic” Fireworks Spectacular features dazzling fireworks, stirring music and a delightful sprinkling of snow. It’s a show for all ages! Best Firework Viewing Spots: ….that don’t require saving hours before, are on Main Street, to the right of the Partners statue. Make sure you can see the castle walls so you don’t miss the projections! If you want to watch the fireworks from somewhere other than Main Street, my favorite spot is New Orleans Square. There’s plenty of seating, no crowds, and an excellent view of the aerial fireworks where you can also hear the music. MUST-SEE: World of Color: Season of Light: A special version of World of Color is shown at night during the holiday season at California Adventure. The show features clips from Disney and Pixar classics, telling a story of love and light. The accompanying music and lights and water display makes for a magical evening event. It’s so fun to meet and greet the characters in holiday outfits like Goofy in a Christmas Sweater and Santa Mickey! You can even meet Santa at Disneyland. Disneyland Packing TIP: Order an autograph book before your trip to save money. Pack a fat marker for the characters to write with, and remove the cap for them. It’s hard to sign with paws. Some of Disneyland’s classic rides get a holiday makeover each year. It’s a Small World Holiday will have you singing Jingle Bells instead of its usual tune from mid-November until mid-January. MUST-RIDE Holiday Ride: Haunted Mansion Holiday where Jack Skellington takes over the Haunted Mansion in a wonderful all-out holiday overlay from mid-October until January. This less-scary version of the Haunted Mansion is a must-ride. Disneyland Packing TIP: Buy some cheap Dum Dums lollipops or a bag of Goofy’s Candy Co Mickey pops before you go to save money. Keep them handy in your day bag to instantly quell tantrums, miraculously perk up tired legs, and keep kids holding out that last five minutes in line. Special food offerings are available at Disneyland for all holidays, and Christmastime is no exception. From seasonal soups to themed krispy treats, the holiday foods at Disneyland will wow you. Beautifully decorated caramel apples, cake pops, and cookies are available in the treat shops (Pooh’s Corner, Candy Palace, and Trolley Treats). There’s also the Festive Foods Marketplace at Disney Festival of Holidays in Disney California Adventure, offering holiday foods from all over the world. MUST-EAT Holiday Treat: The Mickey-Shaped Beignets, available at the Mint Julep Bar in Disneyland, come in seasonal flavors during the holidays. Eggnog? Candy cane? You never know what holiday flavor will be available each year. 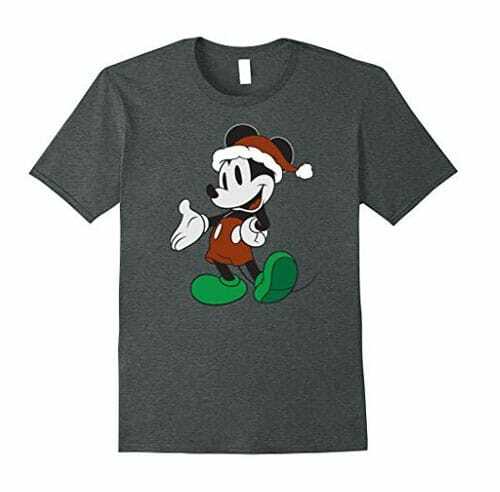 You can find holiday-themed Disney items like Mickey ear hats, mugs, popcorn buckets, t-shirts, sweatshirts… and more! MUST-BUY Holiday Merchandise: Find the perfect new Christmas ornament for your tree to represent your Disney trip! It’s no secret that the holidays are the most crowded time of year at Disneyland. From the week of Thanksgiving through New Year’s, attendance is up and lines are long. The best time to go during this period is early December, and weekdays in particular, so if you have the freedom to do so, schedule your trip during that time. BEST TIP for avoiding crowds: Go early. Getting to the park before it opens is absolutely the best way to make the most of your time. Even on the most crowded days, Disneyland will have shorter lines during the first few hours of the day, and it is worth every minute of sleep lost. Be at the gate, with your tickets, 30-45 minutes before scheduled opening for the best impact. READ my Disney Packing List of items you need to take into the park. The list covers all the basics so you can relax and have fun knowing you haven’t forgotten anything. Jacket: First of all, even in Southern California, it gets chilly in the winter, and with the sun setting earlier, you’re definitely going to want a sweatshirt. Rain: Wet weather is more likely at Disneyland in the winter months, especially in January, so be prepared for that with rain ponchos (use to protect yourself from getting wet on rides too) and umbrellas. MUST-PACK for Christmas at Disneyland: Light-Up Accessories. 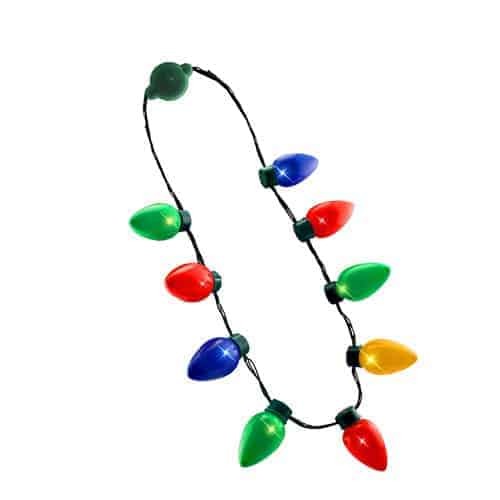 Buy your own light-up Christmas bulb necklace instead of overpaying in the park. Since it’ll be dark earlier, be sure to bring glow sticks. Also, a lot of people bring a string of Christmas lights to decorate their hotel room window if visiting Disneyland during Christmastime, which is fun. Sounds like a magical time to take the children to disneyland! When I think of Disneyland at Christmas, all I can think of is that childhood feeling of holidays, nice movies on tv non stop and that Christmas market feeling, all mixed together! Your post confirms that it might be true! I have only been to Disneyland in February, but I am sure December must be out of this world! I bet Disney is a great place at Christmas, despite the crowds! I’ve only ever been in the summer. These are great tips! I love Disney at Christmas especially how they change up its a small world. It’s been so long since I have been though, I would love to go back! I have never been Disneyland (*Sigh*). If and when I were to go, I think it’s a hard choice between Halloween and Christmas. That said, Christmas does seem a lot more magical and Disney-eque. The Cars picture with the statue and the tree might be my favorite picture on this page. Maybe we will get to Disneyland one day! Thanks for sharing some pictures for us East Coast Disney people. Really super appreciate this post with actual useful information! Thank you. We hope our tips help you on your visit! I haven’t been to Disneyland since I was a teenager but I have fond memories. It looks like they go all out for the holidays, so fun! 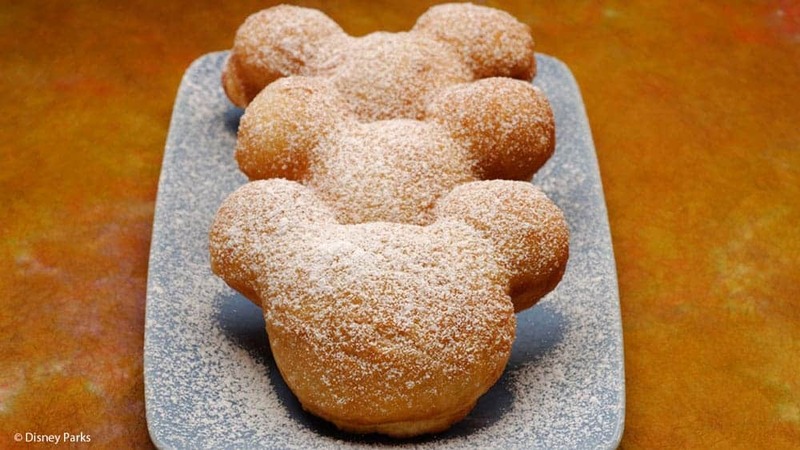 Plus those Mickey beignets look amazing. 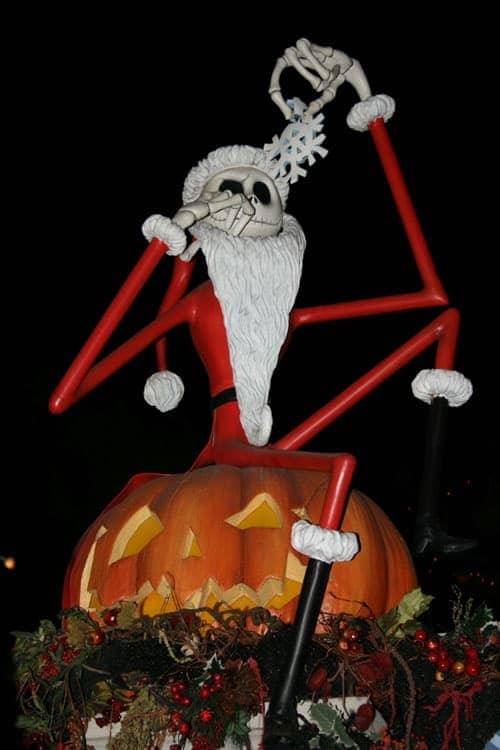 The Disney parks know how to do it during the holidays – Halloween and Christmas! This looks SOOOO magical! 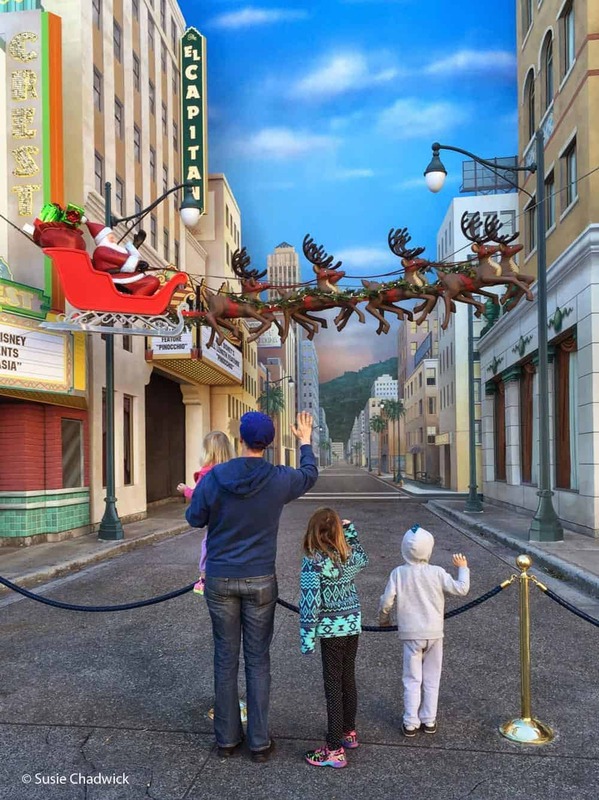 I spent Christmas at Universal Studios one year and loved it, so I’m sure Disneyland would be just as good (if not better). It was kind of weird having the California heat with all the Christmas decorations haha but still, for Disney, I reckon it’d be worth it. Definitely saving this for future reference. So many handy tips! 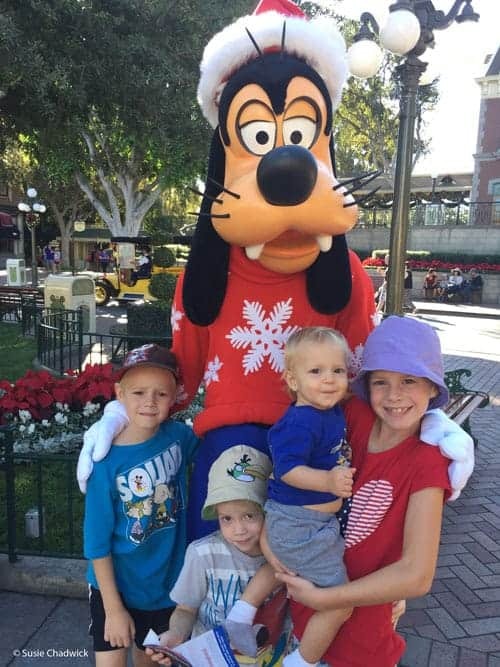 My family would do a big Disney/So Cal trip every few years for Christmas. 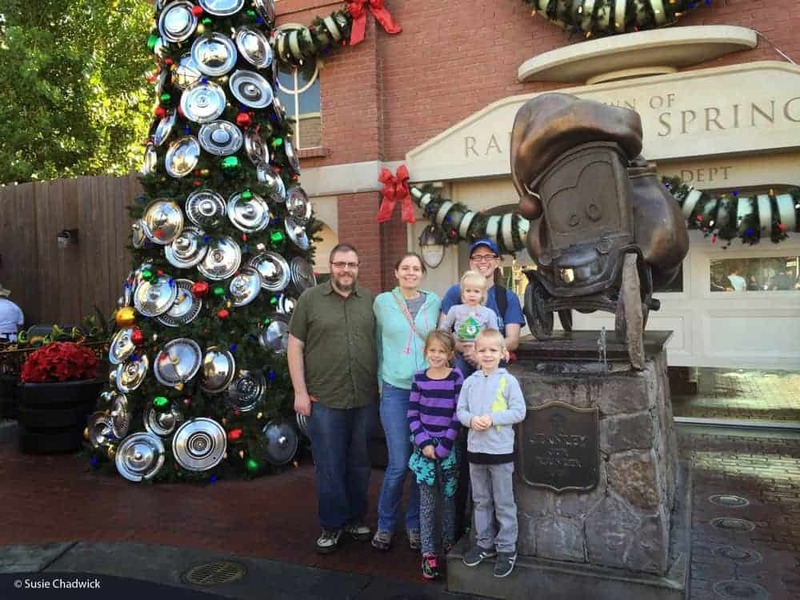 It was fun to escape the winter snow in Utah and celebrate Christmas at Disneyland. Still the best memories I have as a kid! 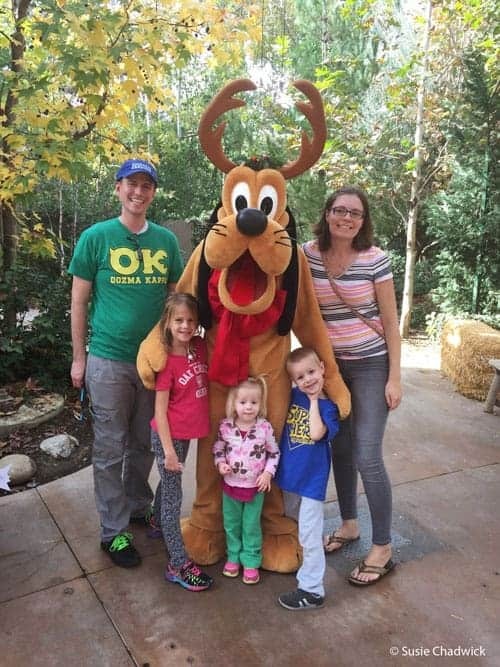 We were at DL for my daughters 6th birthday – it was 100 degrees! hard to think of Christmas, but I love the characters decked out. We had Mickey Beingnets at Orleans Cafe, they were really good! I bet early Dec would be a great time, if you can budget it with other holiday stuff! 100 degrees at Disneyland is no fun! It’s much cooler in December! That’s a totally new perspective. It never occurred to me how Disney would be like during Christmas. Your pictures have enticed me to experience Disney in Christmas. The Holiday parade sounds exciting! The parade is really fun, especially with little ones. Disneyland in Christmas must be a wonderland ride. As winters are magical so is the place. I visited Disneyland in spring but now thinking to visit in December. Photo of your Disney crowds is amazing. Great tip on carrying a blanket as it must be chilly while viewing the parade. You should definitely come to Disneyland in December if you can! Its been so long since I last visited Disney. The next time I go I’ll make sure it coincides with the holiday season. LOVE how the characters all dress up in festive clothes. Those treats are so cute too! The character costumes are so fun, and sometimes they have several different ones. Disneyland must be one of the best places to go at Christmas! These are some really great and practical tips on visiting at what must be one of the most popular times to go. I love how they give the rides a “makeover” so you can enjoy them in a different way! I love that they change up the rides for the holidays too. We go a lot, so it’s nice to have something different. A great list and the addition of glow sticks to the packing list is a great idea. Disney at any time of the year is great, but around the festival season just sparkles that extra bit more making the holiday all the more magical. But, yes as you mention in the comment above, i’m not that great with too crowded places, so that’s one issue. 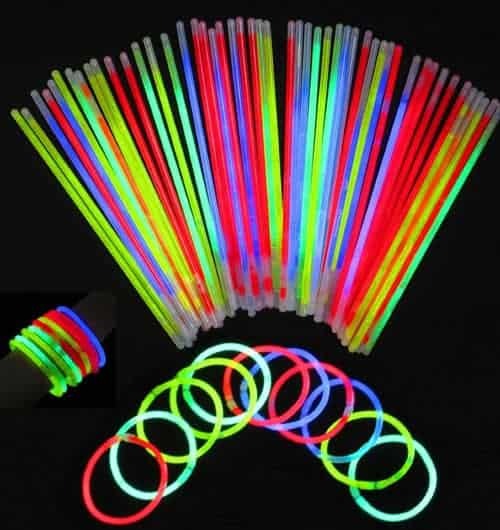 The glow sticks are so fun to bring out and surprise the kids once it gets dark. I hate crowds, so I nearly always go first thing in the morning. Disneyland is my dream park and I would love to visit it one day. I think on Christmas it will be even more wonderful with all the decorations and activities. The tip to go early is really useful! I always do the same when visiting touristic places. Going early is a pretty good tip universally for wherever you visit! We went the first week of December once and it was so slow we just kept riding Splash Mountain over and over and over again without ever getting off! That’s awesome! Splash Mountain is less popular in the wintertime. Haha! Oooo how I would love to spend Christmas at Disneyland! What a magical place to be over the holidays. I am sure it would be super duper busy though at this time, so your tips are very useful. Good to know to bring a blanket and save a seat for the fireworks. And how fun it would be to find all the different characters dressed up in their festive costumes! The first week of December usually isn’t too bad, but you still get all the holiday spirit and events. I can imagine how spectacular Disneyland is at Christmas. Those are great tips about the best viewing spot, and also to pack a blanket to save seats. The Mickey beignets look delicious, and I’d love to see the fireworks show, looks so colourful! The Mickey beignets are so delicious! 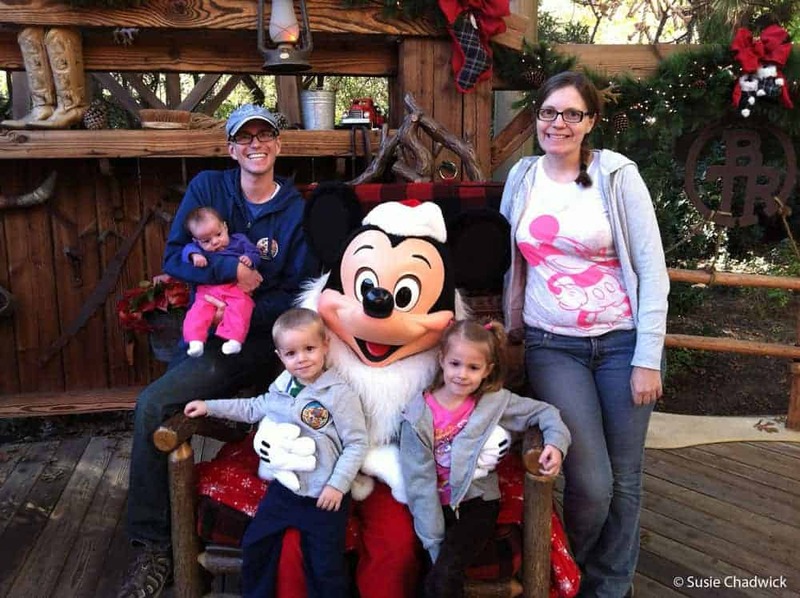 I love this post and the practical tips you have given to enjoy Disney with the family during the Christmas period. 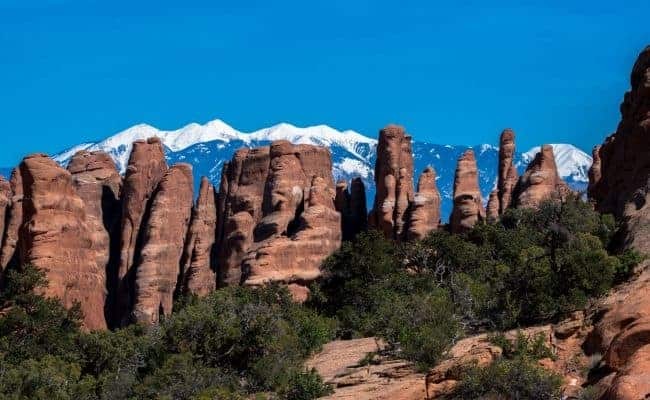 The thought of the crowds to an attraction this popular over the peak holiday season can be quite unbearable. However the things you have mentioned here, such as getting there as early as possible and places to view parades etc, would surely make the experience so much easier and enjoyable. The Disney crowds overwhelm me a bit, so I have a lot of experience avoiding them!